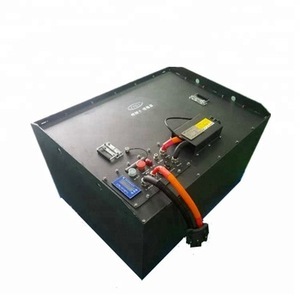 Shanghai Shineng Electrical Equipment Co., Ltd.
UltiPower 48V 30A intelligent battery charger for forklift UltiPower 48V 30A lead acid battery chargers allow for easy high-frequency charging of electric vehicle batteries at any outlet. 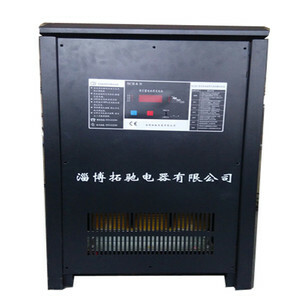 ( 48V high frequence battery charger) An advanced microprocessor controller is featured in the high frequency battery chargers. Precise UltiPower Electrical charging and termination algorithms prevent both undercharging and overcharging, optimizing both daily battery capacity and overall battery life. 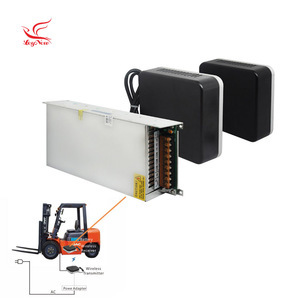 Shenzhen CPET Electronics Co., Ltd.
Nanjing Dingjin Freight Forwarders Ltd.
Hangzhou Aodi Electronic Control Co., Ltd.
48V120A Intelligent high frequency portable forklift battery charger, Crown charger, Clark charger Battery Charger Models Vout Normal Vout Max Lout Max Rated Power No. (V) (V) (A) (KW) A2425 24 31.5 25 0.6 A2430 24 31.5 30 0.72 A3620 36 47.25 20 0.72 A3625 36 47.25 25 0.9 A4820 48 63 20 0.96 A4830 48 63 30 1.44 A6015 60 78.75 15 0.9 A6030 60 78.75 30 1.8 Technical Specification Series No. We are sure that your any inquiry and requirement will get prompt attention. Zibo Torch Machine Co., Ltd. The temperature rising during the charge and the evaporating of the electrolyte at the end of charging can be restricted through controlling the charging parameter. This can prolong the battery life and reduce the lost of water, so that it can reduce the maintenance cost. 6.it can be selected to carry out normal charging or equalizing charging after normal charging through the adjustment of the switch. Guangzhou Yixiu Lvdian Energy Technology Co., Ltd.
Tianchang Youxin Electrical Equipment Co., Ltd.
Shenzhen Sritec Technology Co., Ltd.
Guangzhou DongLong Electronic Co., Ltd. The battery charger shall be self - recovery when the fault condition is removed. The battery charger shall be self recovery when the fault condition is removed. 4. Q: Do you provide the free samples9 A: Yes, only low power or cost samples. Operating Temperature: +40&#8451; Min. Operating Temperature: -10&#8451; Max. Storage Temperature: +70&#8451; Min. &middot; Best quality : We have 5 professional technicians who has experienced of IAQ filed of over 10 years and strict QA and QC system. 7. Do you have some new product coming9 A: We will design more and more new product with different high quality. 8.Q: What's your payment item9 A: Our standard payment is T/T in advance, Paypal and Western Union. 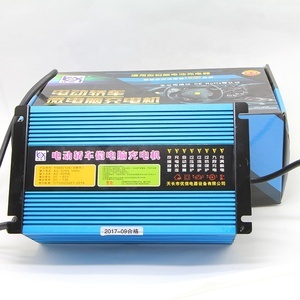 48V / 30A Maintenance-free / Lead-acid Battery Plus Liquid Sightseeing Car stack high 220V high-frequency smart charger Technical Parameters: 2.1 Input voltage: AC180V ~ AC265V 2.2 Input voltage frequency: 50HZ 2.3 full load efficiency: &ge; 95% 2.4 Working temperature: -20 &#8451; ~ +50 &#8451; 2.5 Storage temperature: -40 &#8451; ~ +80 &#8451; 2.6 charge control: temperature compensation control, overcurrent, overvoltage control, but charge, undercharge 2.7 charging curve and interface: according to customer requirements Mainly engaged in electric forklift, tractor, sightseeing cars, golf carts, electric police cars, electric sanitation vehicles and other electrical parts. At present, the company has operated more than 13 kinds of product categories, varieties have exceeded 2000 kinds of materials. 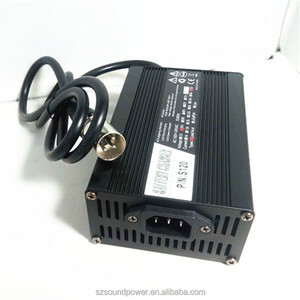 Alibaba.com offers 1,684 forklift charger 48v products. About 66% of these are charger, 8% are car charger, and 5% are forklifts. A wide variety of forklift charger 48v options are available to you, such as standard battery, mobile phone. You can also choose from eu/au/uk/us, au. As well as from ac motor, dc motor, and diesel engine. And whether forklift charger 48v is 1 x usb, or 2 x usb. There are 1,698 forklift charger 48v suppliers, mainly located in Asia. The top supplying countries are China (Mainland), Taiwan, and Turkey, which supply 99%, 1%, and 1% of forklift charger 48v respectively. Forklift charger 48v products are most popular in North America, Domestic Market, and Western Europe. You can ensure product safety by selecting from certified suppliers, including 452 with ISO9001, 24 with Other, and 18 with ISO14001 certification.